Singer 8780 does have some nice features. But it is not a machine without limitations. Overall, it is not a value for money proposition. First of all, let me tell you one thing, Singer 8780 is not commonly available in US right now. 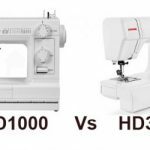 It is not discontinued yet, but still it is not available at most sewing machine stores in US. Curvy 8780 is a fully computerized sewing machine. 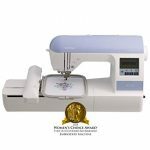 The machine comes with a total of 225 built-in stitches including 6 Essential, 5 Stretch, 207 Decorative and 7 one-step Buttonholes. The cool part is that, among those 7 buttonholes, one is an endless buttonhole which enables you to create buttonholes with infinitely long sides. 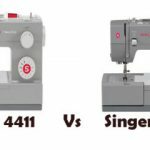 Singer 8780 is clearly an advanced sewing machine. The machine comes with an easy threading system which Singer calls ‘SwiftSmart’ (actually this system is not a whole lot different from the threading system followed by other manufacturers). Basically, it has a thread guide and an automatic needle threader at the end to save eye strain (which is the same method followed by other sewing machine manufacturers as well). The top drop-in bobbin with clear cover is a user-friendly feature. There are alphabets and numerals to do monogramming. The best thing about Singer 8780 is that it has a built-in memory which allows you to combine stitch patterns, alphabets and numbers. This function adds a lot to the creativity part of a sewer. The LCD screen is small for a machine of this magnitude but it does a good job though. You can view the stitch patterns, stitch length, width etc on the screen. The programmable needle up/down button is a huge blessing for quilters. It literally works like an extra hand while appliquéing, quilting or pivoting fabric. Another useful feature is the electronic twin needle control which adjusts the stitches automatically for twin needle sewing. Twin needle stitches add a decorative touch to the projects. Mirror imaging can also be done with just the push of a button. 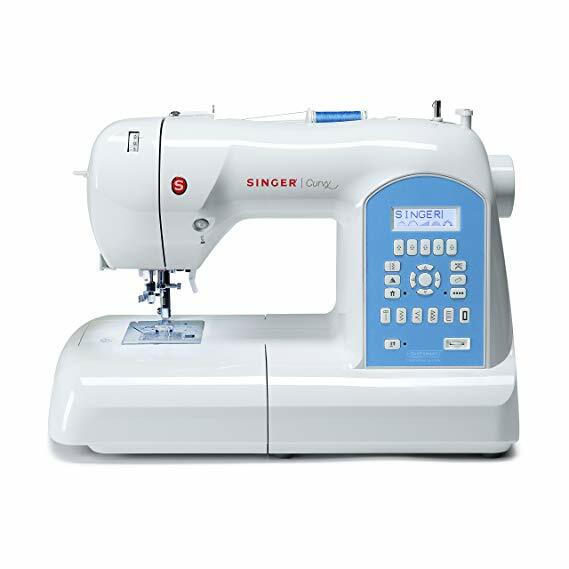 Singer 8780 comes with automatic tension which ensures consistent stitch quality. In order to sew cuffs and collars, you can convert the machine to free arm. You can also do free-motion sewing by using the drop feed option (this is an important part of quilting). The extra high presser foot lifter offers more clearance needed while sewing multiple layers of fabric. The automatic tacking stitch function lets you tie-off the stitches at the beginning and end. 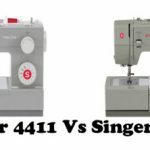 Singer 8780 comes with a motor that can deliver 750 stitches/min, which puts it on par with its competitors. The box feed system ensures perfect feeding. The direct drive mechanism, in which the needle bar is geared straight from the motor, rather than from a drive bar across the machine makes it more powerful and long lasting. 13 needle positions are available on the machine. An on-board storage compartment is also provided. 3 LED bulbs illuminate the work area. Even thought there are 3 bulbs, the light is still dim for my liking. The machine has 25 year limited warranty cover. Singer 8780 has all the features required by a quilter, including an over-sized table. For the most part, it does look feature packed. There is a good selection of patterns. Monograms do look good. The machine operates reasonably quiet. The machine is pretty lightweight as well. The stitch quality is decent. There is no sewing speed control slider or sewing start/stop button that you normally get on computerized sewing machines. Lack of speed control slider is a disadvantage for sure. You need to rely on the foot pedal all the time. Delay between stop and start sewing was something unexpected. The issue does repeat over and over. Singer 8780 is a pretty old model, which may be the reason why new machines are not readily available. The availability factor, combined with some of the issues I pointed out makes it less appealing for me. The best alternative that comes in the same price range is the Singer 9960. You don’t need to worry about the quality of 9960, it is that good a machine. It is also listed in our ‘Machines You Can Buy With Your Eyes Shut’ list. 9960 comes with 600 built-in stitches. 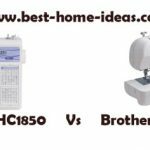 It is a heavily feature loaded machine with absolutely high quality stitches.